When investments are made by committed students, parents, alumni, sponsors, and band fans a good organization can become a great organization. By “Band”ing Together the East Coweta Band Program has been blessed with an incredible group of talented and dedicated individuals with an amazing array of skills and abilities. Don't be modest! You know you’re good at or passionate about something. 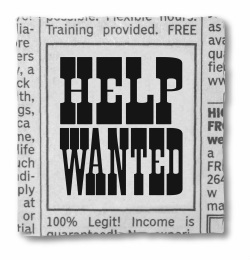 Maybe it’s carpentry, or electrical/mechanical work, or sewing, or laundry, or cooking, or maybe you have EMT or nursing skills -- you may be just the person we are looking for! Let's Band Together! Some jobs are big, some jobs are small, but they are all important and we can't do it without your involvement and support! If you are willing to share your time and talent to assist and support the members and staff of the East Coweta Band Program click the button below and fill out a Volunteer Interest Form. Tell us a little about yourself and your interests. Submit the form and someone will contact you on how to take the next steps.